Summary: We aim to expand our activities and launch a new Energy Efficiency department. We are thus looking for a hard-working, passionate Energy Efficiency expert equipped with an entrepreneurial mindset who could join us and lead the department’s development. With an electricity demand projected to grow between 10 and 15% per annum, Cambodia constantly faces supply challenges. Instead of systematically reinforcing energy production capacity, we believe the first answer to energy challenges is to reduce the energy consumption. Despite the price of electricity still high comparatively to neighbouring countries, Cambodia’s adoption of energy efficiency remains very low with not dedicated regulatory context and real trust issues from most of the stakeholders. We therefore believe that it is more than time for this sector to emerge in Cambodia. So far, Sevea has performed a few energy efficiency studies and audits for building in Cambodia and contributed to the writings of a national energy efficiency policy strategy in the Pacific. But our actions and their impact remained marginal. We want now to take a step further. By adopting a holistic approach and by working with the entire spectrum of stakeholders, from technical solutions providers, construction companies and architects, universities, development agencies and government, we wish to contribute and help this sector structure itself. 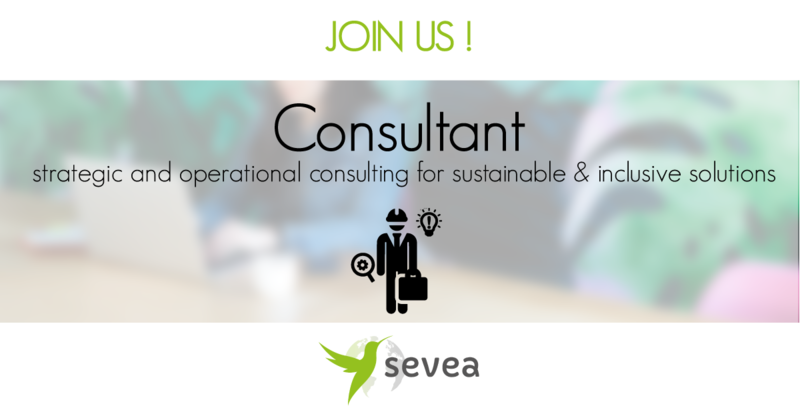 At Sevea, we are a team of passionate consultants dedicated to support all the actors (Corporates, Organizations, Governments and SMEs) of the development sector in their initiatives/actions. From creating innovative programs, conducting sectorial studies, mentoring entrepreneurs or acting as expert in national development projects, we develop services and coordinate projects to find the best answers to tackle energy, water and rural development issues in emerging markets. After 7 years of experience in developing countries, Sevea is today supporting projects all around the globe mainly in South East Asia, in Africa, and Oceania. Sevea is at a strategic turn and needs to reinforce its team. We aim to expand our activities and launch of new Energy Efficiency department. We are thus looking of a hard-working, passionate Energy Efficiency expert equipped with an entrepreneurial mindset who could join us and lead the departments’ development. Sevea being a SME, all employees are asked to contribute to the internal life of the company, from reinforcing its communication and marketing tools, to optimizing internal processes to run it more efficiently. Working at Sevea implies contributing to all aspects of its development. In this case, you will be asked to take part in the commercial development of the company, especially by creating strategic partnerships or establishing new client relationships with SMEs or organizations from the development sector and by developing new offers. Location: Phnom Penh (Cambodia), with the possibility to travel in provinces of Cambodia and in developing countries in South East Asia, Africa, and Oceania.